A US agency which specialises in precision weapons and stealth technology has released the design of a new unmanned plane powered by fans and capable of vertical take-off. Set-up shortly after Russia’s successful Sputnik mission, the Defence Advanced Research Projects Agency (DARPA) has the job of making sure the US government is never outfoxed in the technology race again. Its design team have just released concept images for a new vertical take-off and landing aircraft, named the Lightning Strike. While it is not yet known how the US military will use the duck-shaped machine, DARPA say they expect it to be able to fly at speeds of 463mph (740kph) and carry loads at least 40 percent of the craft’s 10,000 to 12,000lb weight. The electric-powered vehicle has nine ducted fans integrated into two rotating wings, helping it to take-off vertically and then cruise forward or backward at high speeds. 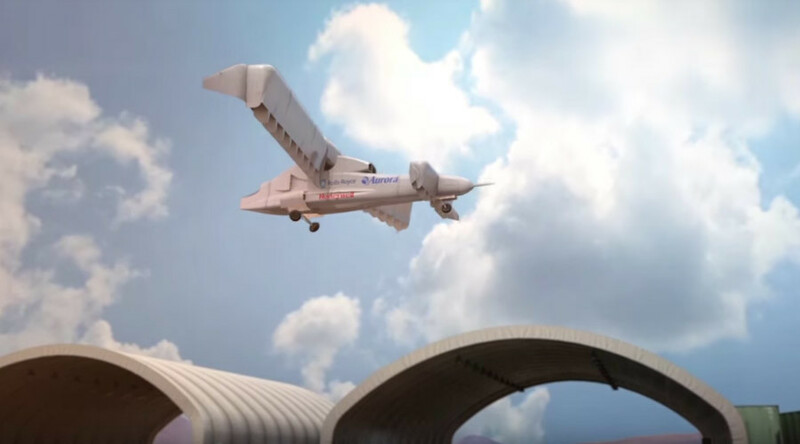 “The design envisions an aircraft that could fly fast and far, hover when needed and accomplish diverse missions without the need for prepared landing areas,” a DARPA statement reads. DARPA have rewarded the phase two design contract to Aurora Flight Sciences. The firm have experience in creating unpiloted aircraft, having previously designed a system enabling helicopters to deliver supplies without pilots. DARPA has lethal weapons such as the bazooka ‘Tank Breaker’ in its armoury, so it is quite possible the Lightning Strike could be armed, or used for surveillance and equipment delivery. DARPA also list improving armor penetrating explosives and creating hypersonic cruise missiles among its research proposals. “If successful, VTOL X-Plan’s radically improved flight capabilities could lead to revolutionary advancement of the US military’s future mission capabilities,” said Dr John Langford, CEO of Aurora. The project is a collaboration with Rolls-Royce and Honeywell International. The two companies have already been paid millions of dollars to support the US government’s war capabilities, equipping armored tanks and aircraft. Test flights on the Lightning Strike are due to take place before the end of 2018. Scarily, the stealth machine could easily creep up on targets undetected due to the low noise emitted by its fans. “Imagine electric aircraft that are more quiet, fuel-efficient and adaptable and capable of runway-independent operations. We want to open up whole new designs and mission spaces freed from prior constraints,” said DARPA program manager, Ashish Bagai.